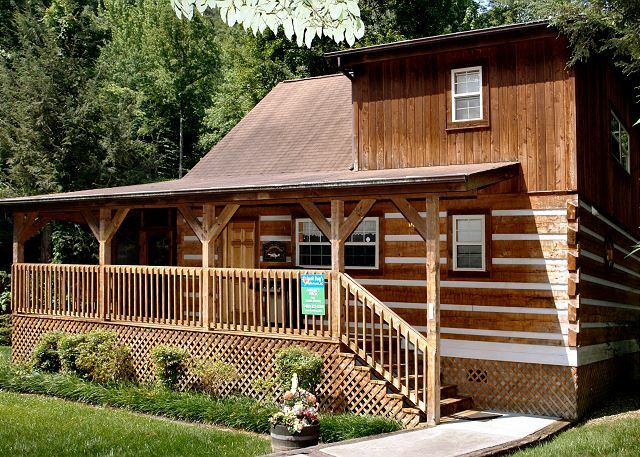 ANGLER'S PERCH #2523 is a beautiful DOWNTOWN Gatlinburg log cabin! NEWLY ADDED 60+ GAME VIDEO ARCADE! Walk to the tram stop or fish on creek less than 1 mile away! This amazing vacation rental has a King bedroom suite on main level that includes private bath room, television, and jacuzzi tub. You'll enjoy watching movies or sports on your living room flatscreen TV or cuddling up to your own fireplace. 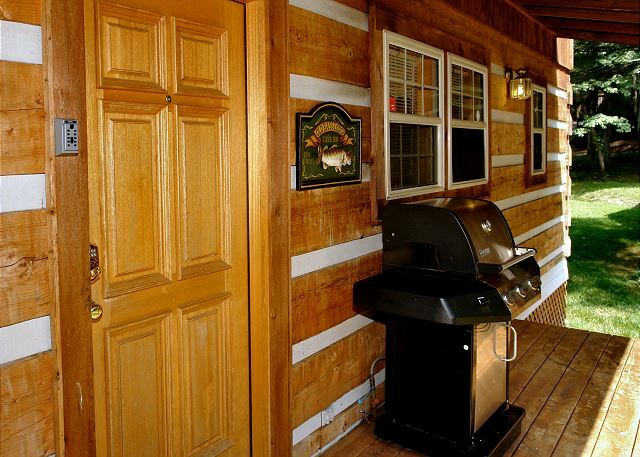 This cabin offers a gas grill for cooking a great meal and several Rockers to just enjoy the peacefulness of the Mountains. If you want to soak your worries away, go into your screened in porch for a wonderful time in your professionally maintained hot tub. 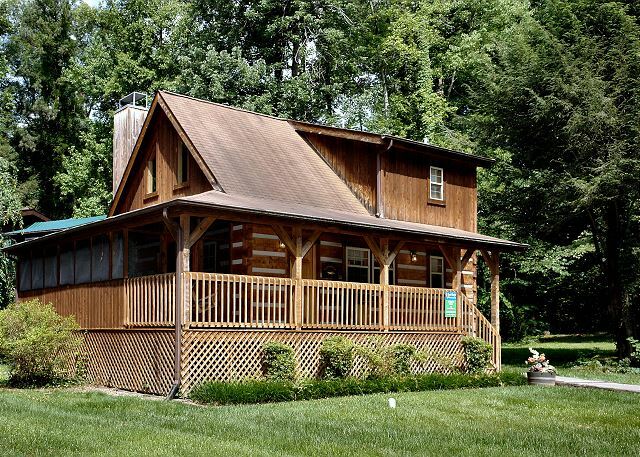 This log cabin also offers an upstairs bedroom with two queen beds plus another bathroom. Angler's perch is close to all the action, yet far enough away to enjoy the beauty of the mountains! This cabin does offer a pet-friendly option, wifi internet access, and easy drive-to access no matter the weather or Season. Choose Angler's Perch on your next mountain vacation to Gatlinburg, the gateway to the Smoky Mountain National Park. This cabin is priced for 4 adults. Each additional person is $12.50 nightly. No smoking allowed. Pets must be registered and crated.